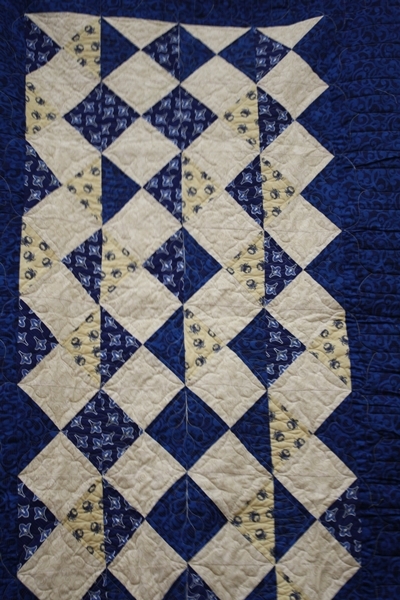 The September meeting was attended by 92 members, with 2 visitors and 17 apologies. 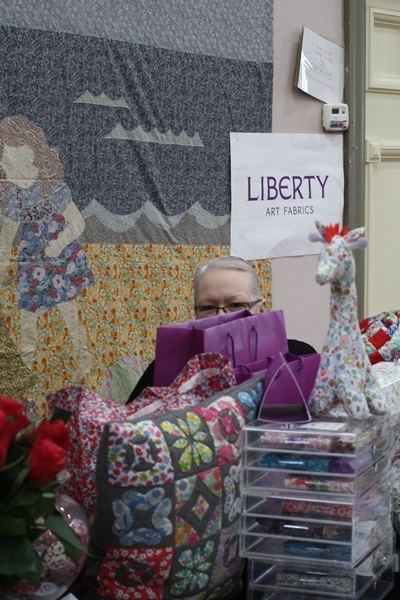 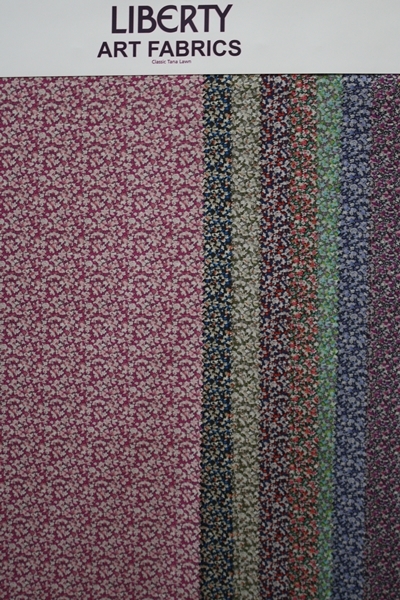 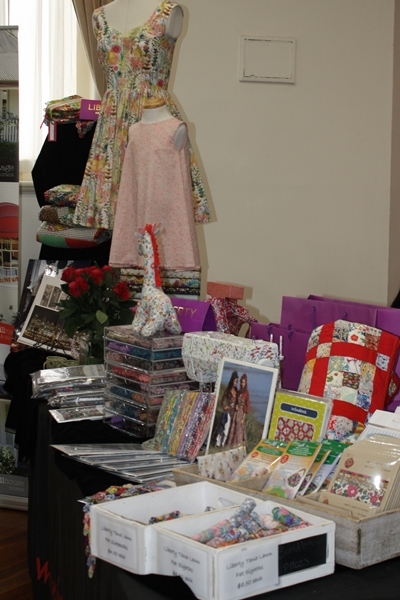 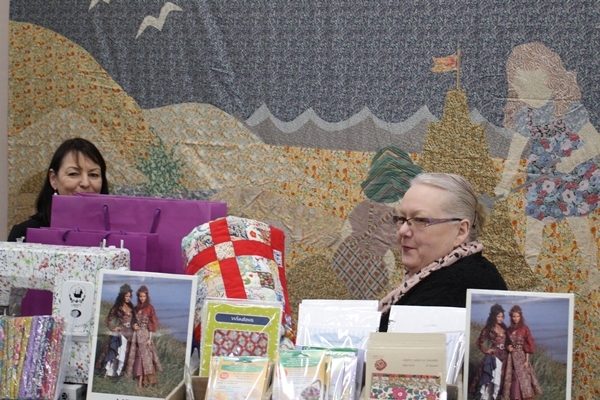 Millrose Cottage provided the shop for the meeting and displayed a wonderful range of Liberty prints and patterns. 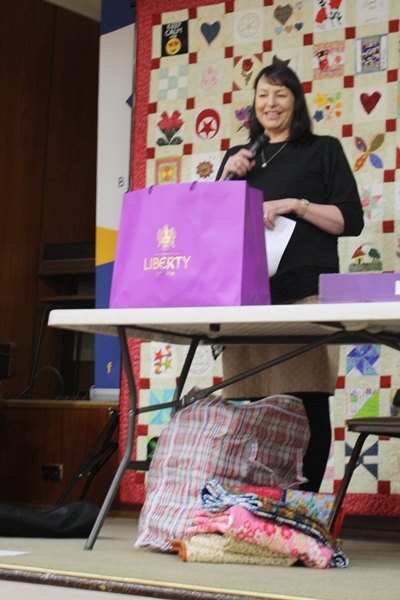 Sue Bartleman from Millrose Cottage was the September speaker and shared some of her favourite Liberty fabrics while giving us a brief history of the Liberty store/brand and Liberty fabrics - past and present. 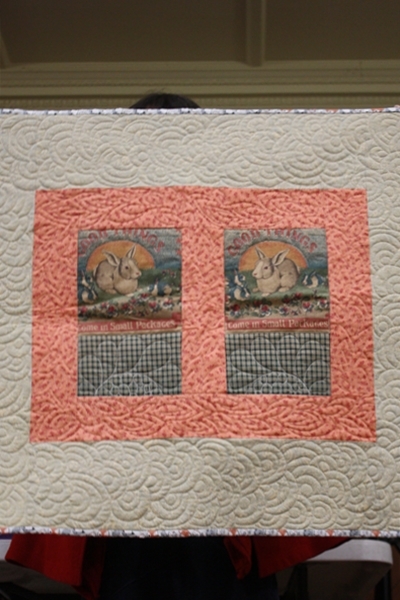 Members unable to attend the August annual meeting were presented with their 10, 20 and 30 year badges. 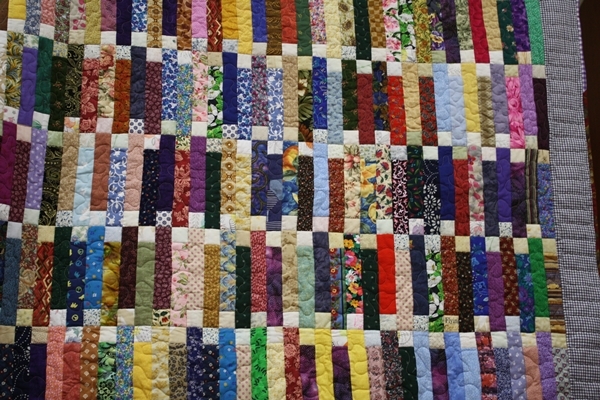 Congratulations to all these long serving members. 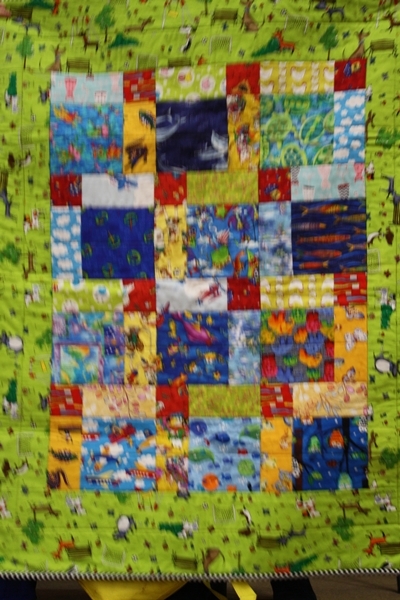 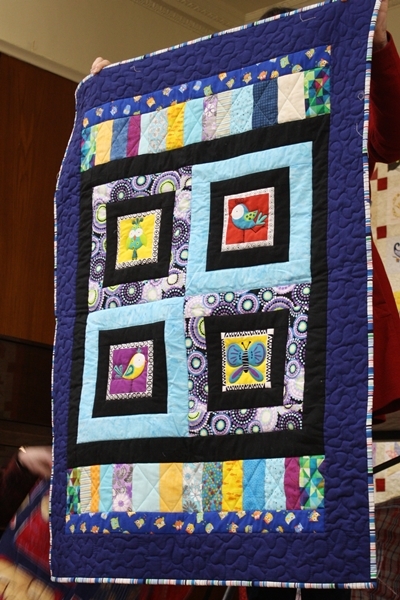 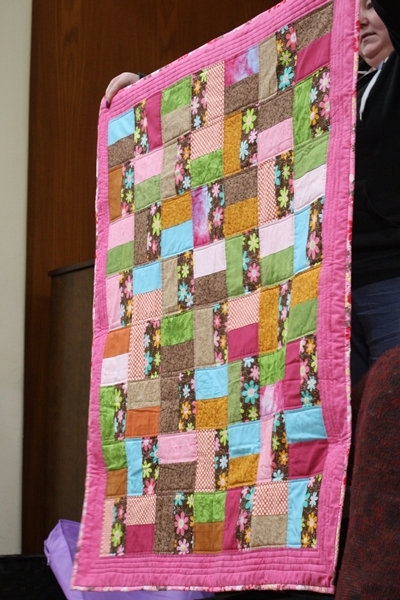 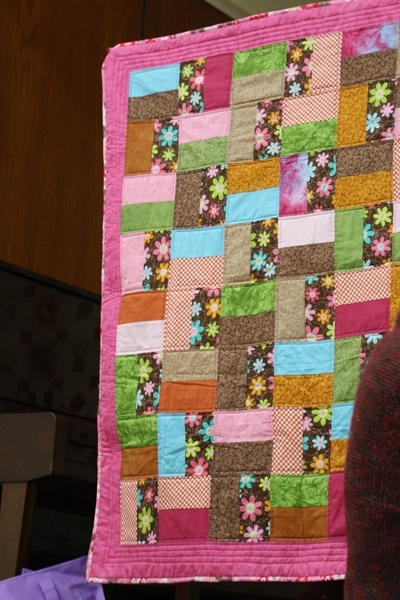 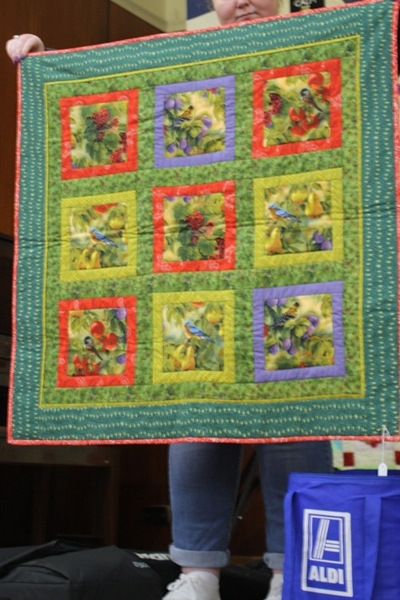 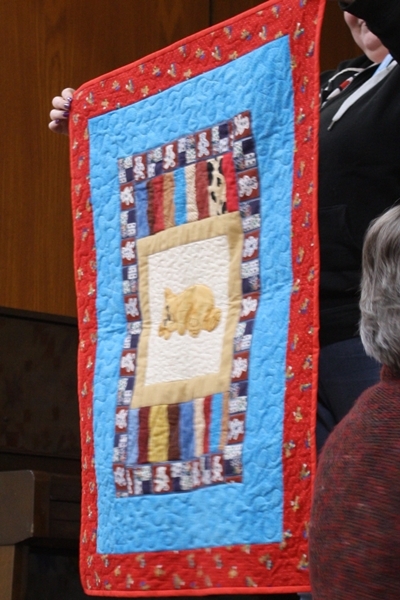 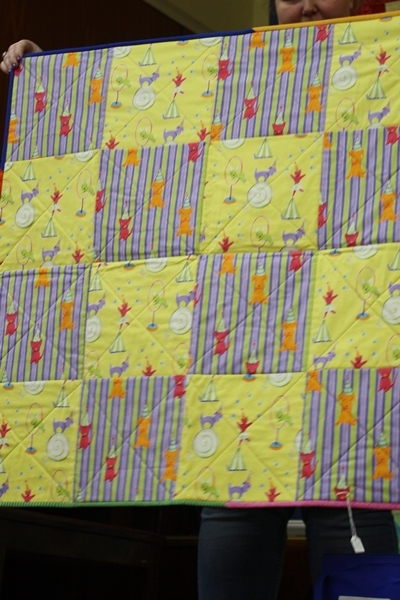 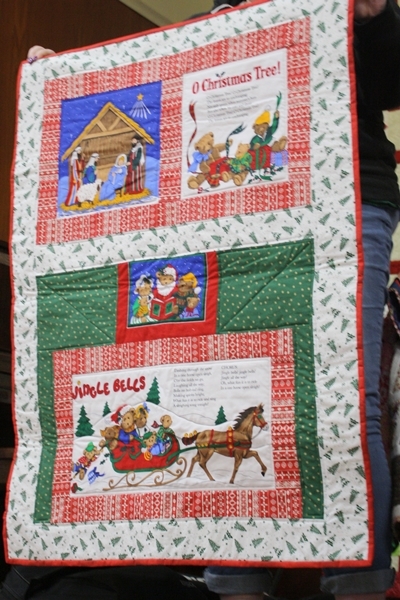 A very large number of Caring and Sharing quilts were presented to the meeting. 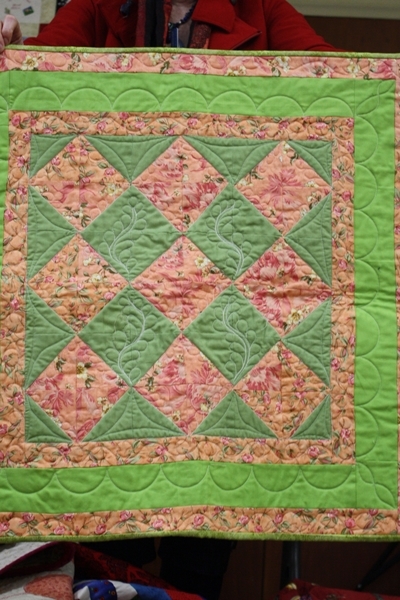 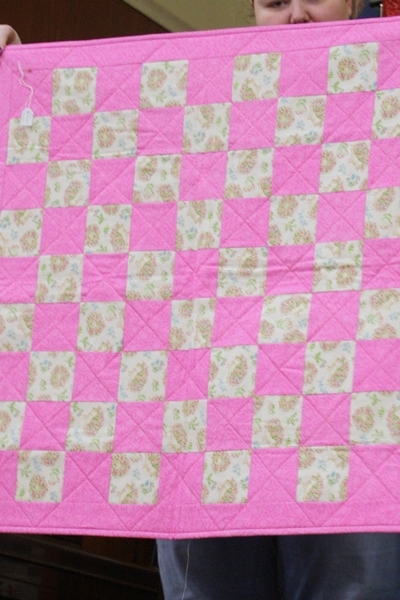 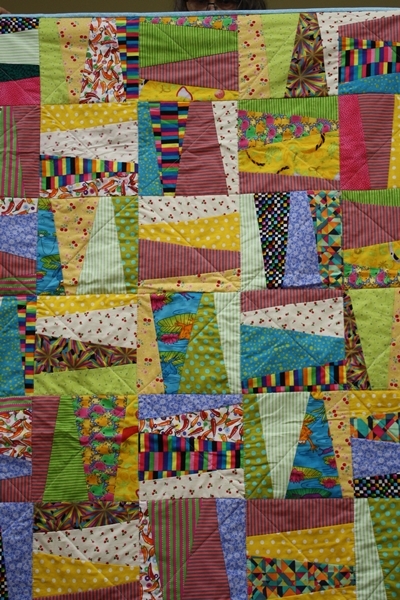 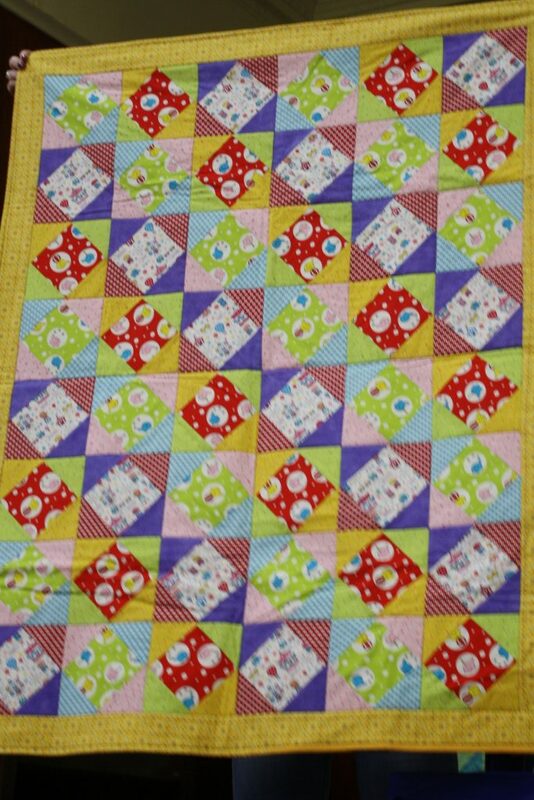 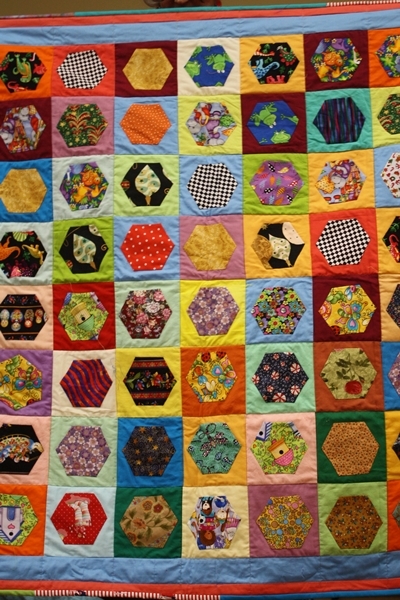 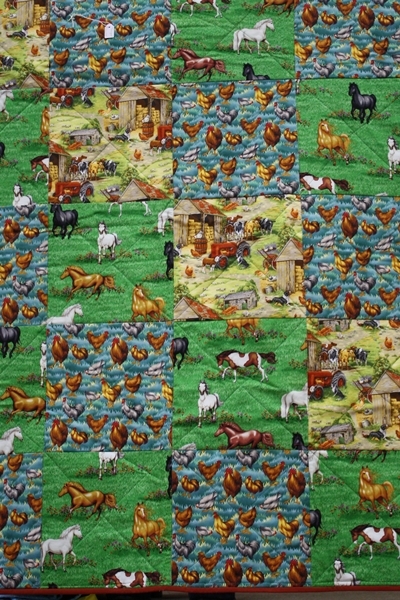 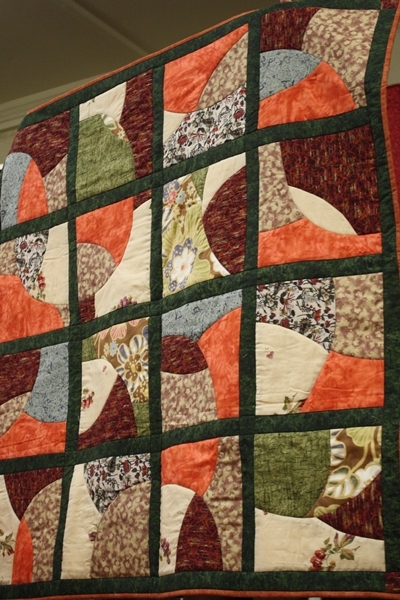 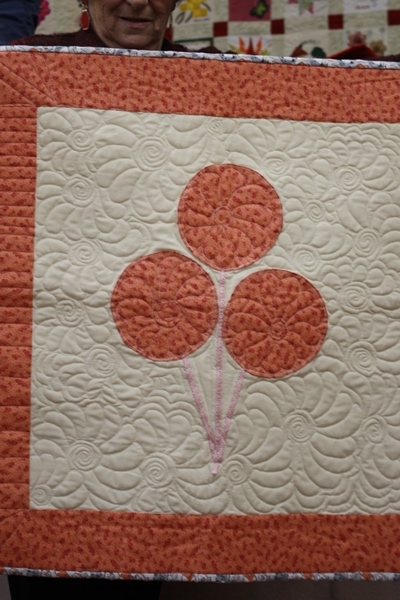 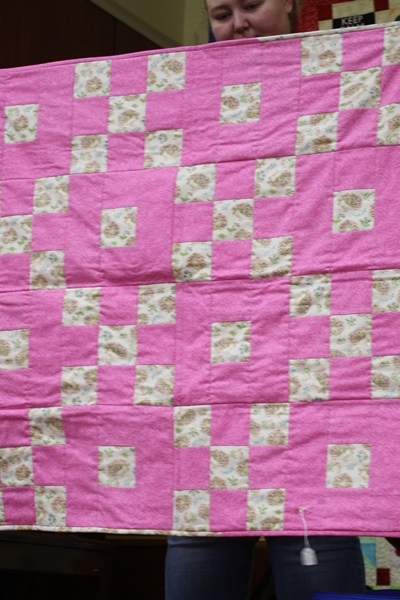 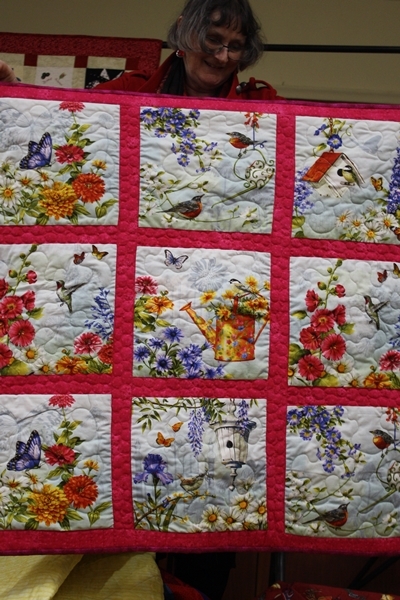 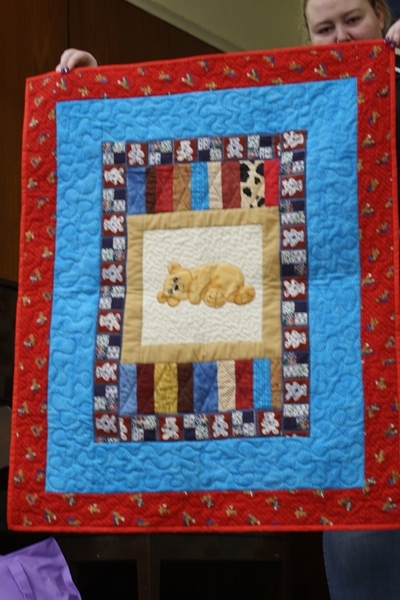 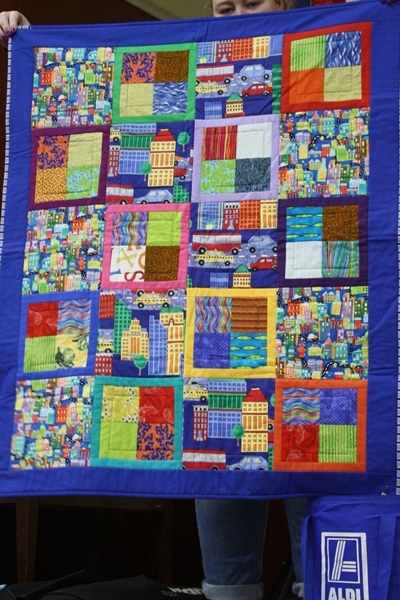 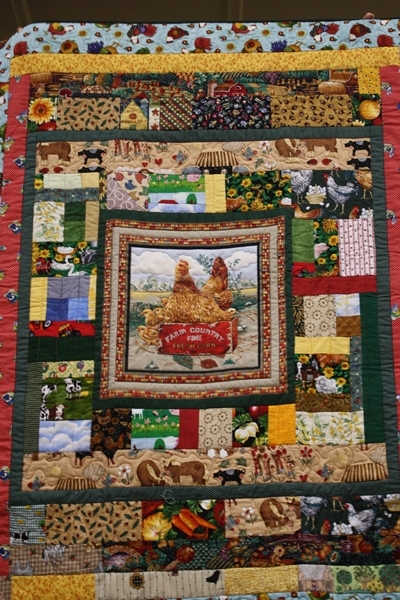 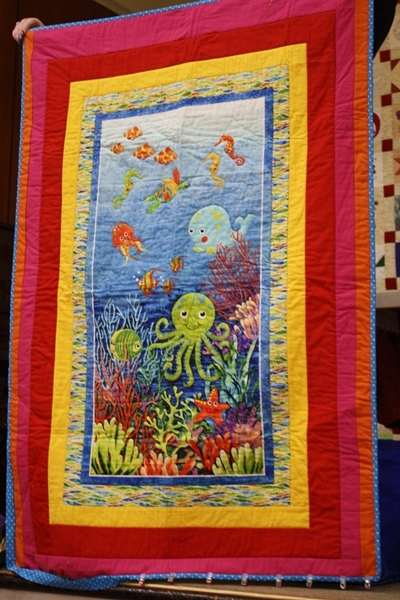 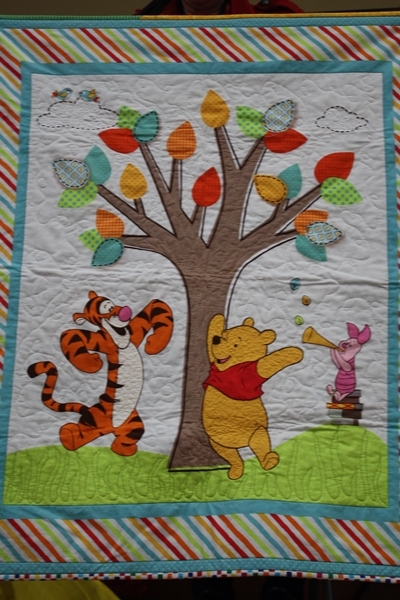 Thanks to all those members and friends who continue to produce such interesting and quality quilts. 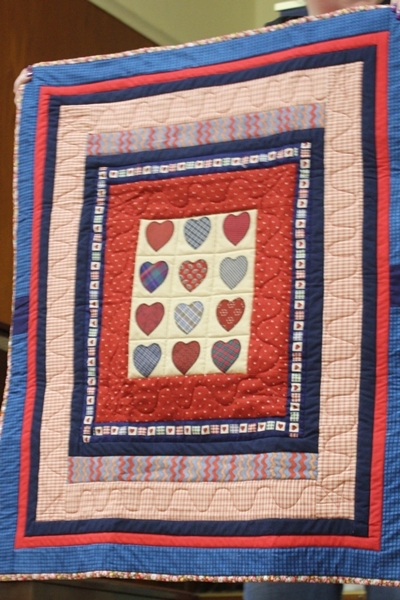 The gallery below shows some of the excellent work done by these generous people. 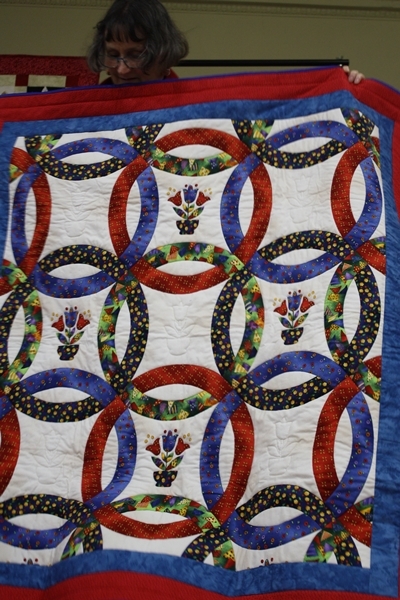 Unfortunately I will be unable to attend the October meeting so I will take this opportunity to pass on my good wishes to those attending the retreat. 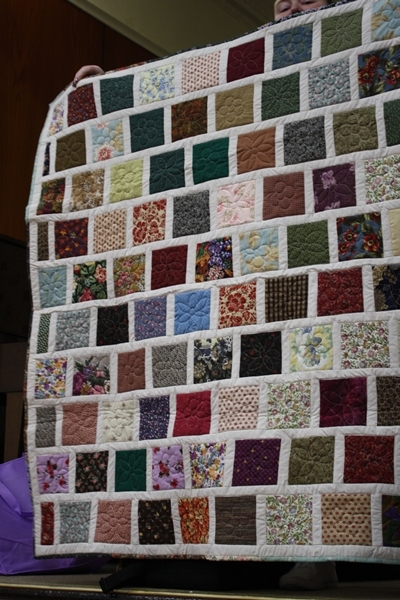 I expect to be there taking photos at the November meeting.